Shoklo Malaria Research Unit is on the frontline of the battle against malaria in Southeast Asia. It was established in 1986 in the Shoklo refugee camp on the Thai-Burma border. 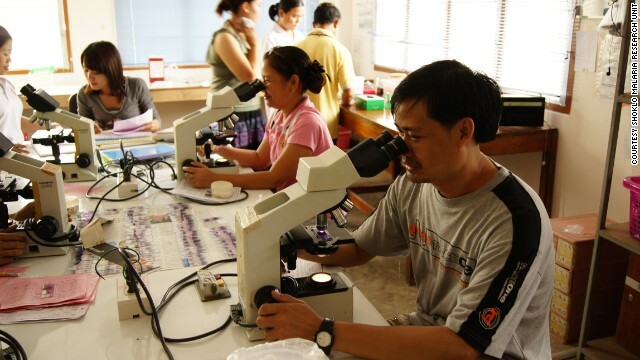 Shoklo Malaria Research Unit is now a region-wide network, centered around the Thai town of Mae Sot. There are other clinics in border settlements, each with trained personnel. Facilities are sophisticated, a marked improvement since its early days, when researchers working without electricity would use a mirror to angle sunlight into their microscopes. Medics in the area have relied on the drug artemisinin to treat malaria -- but now there are signs that malaria in the area is becoming resistant to the drug. 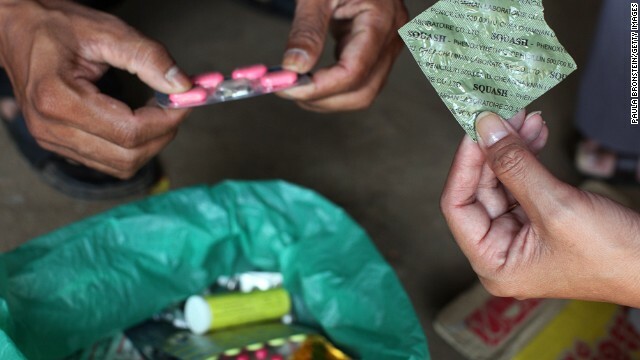 Counterfeit drugs are common in the region and can contain ineffective doses of artemisinin, helping create resistance to it. "The mosquitoes here bite early in the evening. And who's getting malaria? Young men. Are they all tucked up in their bed nets by 6 o'clock? No. They're in the fields and forests." 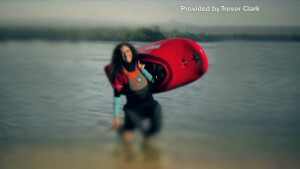 Editor's note: CNN.com is showcasing the work of Mosaic, a new digital publication that explores the science of life. It's produced by the Wellcome Trust, a global charitable foundation that supports research in biology, medicine and the medical humanities, with the goal of improving human and animal health. The content is produced solely by Mosaic, and we will be posting some of its most thought-provoking work. (CNN) -- The meandering Moei river marks the natural boundary between Thailand and Myanmar. Its muddy waters are at their fullest, but Francois Nosten still crosses them in just a minute, aboard a narrow, wooden boat. In the dry season, he could wade across. As he steps onto the western riverbank, in Myanmar, he passes no checkpoint and presents no passport. The air is cool. After months of rain, the surrounding jungle pops with vivid lime and emerald hues. Nosten climbs a set of wooden slats that wind away from the bank, up a muddy slope. His pace, as ever, seems relaxed and out of kilter with his almost permanently grave expression and urgent purpose. Nosten, a rangy Frenchman with tousled brown hair and glasses, is one of the world's leading experts on malaria. He is here to avert a looming disaster. At the top of the slope, he reaches a small village of simple wooden buildings with tin and thatch roofs. This is Hka Naw Tah, home to around 400 people and a testing ground for Nosten's bold plan to completely stamp out malaria from this critical corner of the world. Malaria is the work of the single-celled Plasmodium parasites, and Plasmodium falciparum chief among them. They spread between people through the bites of mosquitoes, invading first the liver, then the red blood cells. The first symptoms are generic and flu-like: fever, headache, sweats and chills, vomiting. At that point, the immune system usually curtails the infection. But if the parasites spread to the kidneys, lungs and brain, things go downhill quickly. Organs start failing. Infected red blood cells clog the brain's blood vessels, depriving it of oxygen and leading to seizures, unconsciousness and death. When Nosten first arrived in Southeast Asia almost 30 years ago, malaria was the biggest killer in the region. Artemisinin changed everything. Spectacularly fast and effective, the drug arrived on the scene in 1994, when options for treating malaria were running out. Since then, "cases have just gone down, down, down," says Nosten. "I've never seen so few in the rainy season -- a few hundred this year compared to tens of thousands before." Back in his office, Nosten pulls up a map showing the current whereabouts of the resistant parasites. Three colored bands highlight the borders between Cambodia and Vietnam, Cambodia and Thailand, and Thailand and Myanmar (Burma). Borders. Bold lines on maps, but invisible in reality. A river that can be crossed in a rickety boat is no barrier to a parasite that rides in the salivary glands of mosquitoes or the red blood cells of humans. 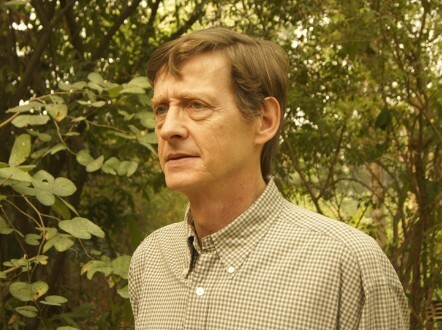 Francois Nosten, professor in Tropical Medicine, director of the Shoklo Malaria Research Unit. History tells us what happens next. Over the last century, almost every frontline antimalarial drug -- chloroquine, sulfadoxine, pyrimethamine -- has become obsolete because of defiant parasites that emerged from western Cambodia. From this cradle of resistance, the parasites gradually spread west to Africa, causing the deaths of millions. Malaria already kills around 660,000 people every year, and most of them are African kids. If artemisinin resistance reached that continent, it would be catastrophic, especially since there are no good replacement drugs on the immediate horizon. If you want to eliminate artemisinin resistance, you have to eliminate malaria. Nosten thinks that without radical measures, resistance will spread to India and Bangladesh. Once that happens, it will be too late. Those countries are too big, too populous, too uneven in their health services to even dream about containing the resistant parasites. Once there, they will inevitably spread further. He thinks it will happen in three years, maybe four. "Look at the speed of change on this border. It's exponential. It's not going to take 10 or 15 years to reach Bangladesh. It'll take just a few. We have to do something before it's too late." Hundreds of scientists are developing innovative new ways of dealing with malaria, from potential vaccines to new drugs, genetically modified mosquitoes to lethal fungi. As Nosten sees it, none of these will be ready in time. The only way of stopping artemisinin resistance, he says, is to completely remove malaria from its cradle of resistance. "If you want to eliminate artemisinin resistance, you have to eliminate malaria," says Nosten. Not control it, not contain it. Eliminate it. That makes the Moei river more than a border between nations. It's Stalingrad. It's Thermopylae. It's the last chance for halting the creeping obsolescence of our best remaining drug. What happens here will decide the fate of millions. The world tried to eliminate malaria 60 years ago. Malaria was a global affliction back then, infecting hundreds of thousands of troops during World War II. This helped motivate a swell of postwar research. To fight the disease, in 1946 the USA created what is now the Centers for Disease Control and Prevention (CDC), the country's premier public health institute. 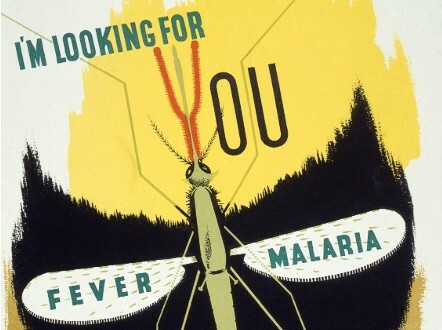 After a decisive national eradication program, the nation became malaria-free in 1951. Brazil had also controlled a burgeoning malaria epidemic with insecticides. Meanwhile, new weapons had emerged. The long-lasting insecticide DDT was already being widely used and killed mosquitoes easily. A new drug called chloroquine did the same to Plasmodium. Armed with these tools and buoyed by earlier successes, the World Health Organization formally launched the Global Malaria Eradication Program in 1955. DDT was sprayed in countless homes. Chloroquine was even added to table salt in some countries. It was as ambitious a public health initiative as has ever been attempted. It worked to a point. Malaria fell dramatically in Taiwan, Sri Lanka, India, the Caribbean, the Balkans, and parts of the south Pacific. But ultimately the problem was too big, the plan too ambitious. It barely made a dent in sub-Saharan Africa, where public health infrastructure was poor and malaria was most prevalent. And its twin pillars soon crumbled as P. falciparum evolved resistance to chloroquine and mosquitoes evolved resistance to DDT. The disease bounced back across much of Asia and the western Pacific. Anti-malaria poster commissioned by the British War Office in 1941. In 1969, the eradication program was finally abandoned. Despite several successes, its overall failure had a chilling impact on malaria research. Investments from richer (and now unaffected) countries dwindled, save for a spike of interest during the Vietnam War. The best minds in the field left for fresher challenges. Malaria, now a tropical disease of poor people, became unfashionable. Francois Nosten always wanted to travel. His father, a sailor on merchant ships, returned home with stories of far-flung adventures and instilled a deep wanderlust. Nosten's original plan was to work on overseas development projects, but one of his teachers pushed him down a different path. "He said the best thing you can do if you want to travel anywhere is to be a doctor. That's why I started medical school." As soon as he graduated, he joined Médecins Sans Frontières and started living the dream. He flew off to Africa and Southeast Asia, before arriving in Thailand in 1983. There, he started treating refugees from Myanmar in camps along the Thai border. In 1985, an English visitor arrived at the camps and Nosten took him for a random tourist until he started asking insightful questions about malaria. That man was Nick White. A British clinician, he was drawn to Bangkok in 1980 by the allure of the tropics and a perverse desire to study something unfashionable. The University of Oxford had just set up a new tropical medicine research unit in collaboration with Bangkok's Mahidol University, and White was the third to join. "The rosbif and the frog", as Nosten puts it, bonded over an interest in malaria, a desire to knuckle down and get things done, and a similar grouchy conviviality. They formed a close friendship and started working together. In 1986, they set up a field station for White's Bangkok research unit: little more than a centrifuge and microscope within Nosten's rickety house. Three years later, Nosten moved to Shoklo, the largest refugee camp along the Thai--Myanmar border and home to around 9,000 people. Most were Karen -- the third largest of Myanmar's 130 or so ethnic groups -- who were fleeing persecution from the majority Bamar government. Nosten worked out of a bamboo hospital -- the first Shoklo Malaria Research Unit. We once had to hide in a hole for the night, with bullets flying around. Malaria was rife. Floods were regular. Military leaders from both Thailand and Myanmar occasionally ordered Nosten to leave. Without any electricity, he often had to use a mirror to angle sunlight into his microscope. He loved it. "I'm not a city person," he says. "I couldn't survive in Bangkok very well. I wasn't alone in Shoklo but it was sufficiently remote." The immediacy of the job and the lack of bureaucracy also appealed. He could try out new treatments and see their impact right away. He trained local people to detect Plasmodium under a microscope and help with research. He even met his future wife -- a Karen teacher named Colley Paw, who is now one of his right-hand researchers (White was the best man at their wedding). These were the best years of his life. The Shoklo years ended in 1995 after a splinter faction of Karen started regularly attacking the camps, in a bid to force the refugees back into Myanmar. "They came in and started shooting," says Nosten. "We once had to hide in a hole for the night, with bullets flying around." The Thai military, unable to defend the scattered camps, consolidated them into a single site called Mae La -- a dense lattice of thatch-roofed houses built on stilts, which now contains almost 50,000 people. Nosten went with them. He has since expanded the Shoklo Unit into a huge hand that stretches across the region. Its palm is a central laboratory in the town of Mae Sot, where Nosten lives, and the fingers are clinics situated in border settlements, each with trained personnel and sophisticated facilities. 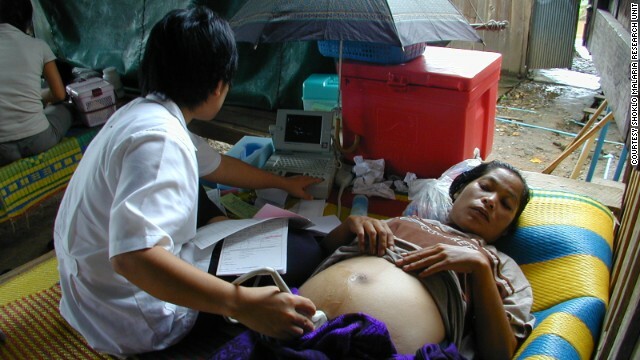 The one in Mae La has a $250,000 neonatal care machine, and can cope with everything short of major surgery. Nosten has also set up small "malaria posts" along the border. These are typically just volunteer farmers with a box of diagnostic tests and medicine in their house. "I don't know anybody else who could have done what Francois has done," says White. "He'll underplay the difficulties but between the physical dangers, politics, logistical nightmares, and the fraught conditions of the refugees, it's not been easy. He's not a shrinking violet." Thanks to Nosten's network, locals know where to go if they feel unwell, and they are never far from treatments. That is vital. If infected people are treated within 48 hours of their first symptoms, their parasites die before they get a chance to enter another mosquito and the cycle of malaria breaks. "You deploy early identification and treatment, and malaria goes away," says Nosten. "Everywhere we've done this, it's worked." 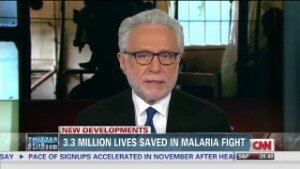 Victories in malaria are often short-lived. When Nosten and White teamed up in the 1980s, their first success was showing that a new drug called mefloquine was excellent at curing malaria, and at preventing it in pregnant women. Most drugs had fallen to resistant parasites and the last effective one -- quinine -- involved a week of nasty side-effects. Mefloquine was a godsend. We saw more and more treatment failures, patients coming back weeks later with the same malaria. But within five years, P. falciparum had started to resist it too. "We tried different things like increasing the dose, but we were clearly losing the drug," says Nosten. 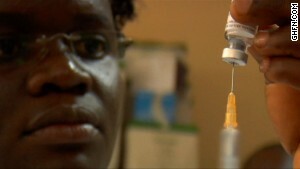 "We saw more and more treatment failures, patients coming back weeks later with the same malaria. We were really worried that we wouldn't have any more options." Salvation came from China. In 1967, Chairman Mao Zedong launched a covert military initiative to discover new antimalarial drugs, partly to help his North Vietnamese allies, who were losing troops to the disease. It was called Project 523. A team of some 600 scientists scoured 200 herbs used in traditional Chinese medicine for possible antimalarial chemicals. They found a clear winner in 1971 -- a common herb called qing hao (Artemisia annua or sweet wormwood). Using hints from a 2,000-year-old recipe for treating hemorrhoids, they isolated the herb's active ingredient, characterized it, tested it in humans and animals, and created synthetic versions. "This was in the aftermath of the Cultural Revolution," says White. "Society had been ripped apart, there was still a lot of oppression, and facilities were poor. But they did some extremely good chemistry." 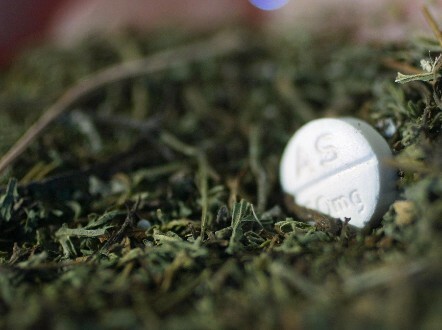 Sweet wormwood gave rise to the anti-malrial drug Artemisinin. Courtesy FREDERIC J. BROWN/AFP/Getty Images. The results were miraculous. The new drug annihilated even severe forms of chloroquine-resistant malaria, and did so with unparalleled speed and no side-effects. The team named it Qinghaosu. The West would know it as artemisinin. Or, at least, they would when they found out about it. Project 523 was shrouded in secrecy, and few results were published. Qinghaosu was already being widely used in China and Vietnam when the first English description appeared in the Chinese Medical Journal in 1979. Western scientists, suspicious about Chinese journals and traditional medicine, greeted it with skepticism and wasted time trying to develop their own less effective versions. The Chinese, meanwhile, were reluctant to share their new drug with Cold War enemies. During this political stalemate, White saw a tattered copy of the 1979 paper. He travelled to China in 1981, and returned with a vial of the drug, which he still keeps in a drawer in his office. He and Nosten began studying it, working out the right doses, and testing the various derivatives. They realized that artemisinin's only shortcoming was a lack of stamina. People clear it so quickly from their bodies that they need seven daily doses to completely cure themselves. Few complete the full course. White's ingenious solution was to pair the new drug with mefloquine -- a slower-acting but longer-lasting partner. Artemisinin would land a brutal shock-and-awe strike that destroyed the majority of parasites, mefloquine would mop up the survivors. If any parasites resisted the artemisinin assault, mefloquine would finish them off. Plasmodium would need to resist both drugs to survive the double whammy, and White deemed that unlikely. Just three days of this artemisinin combination therapy (ACT) was enough to treat virtually every case of malaria. In theory, ACTs should have been resistance-proof. Nosten started using them along the Thai--Myanmar border in 1994 and immediately saw results. Quinine took days to clear the parasites and left people bed-ridden for a week with dizzy spells. ACTs had them returning to work after 24 hours. Rapid parasite clearance is the hallmark of artemisinins. That property suddenly disappeared. But victories in malaria are often short-lived. In the early 2000s, the team started hearing rumours from western Cambodia that ACTs were becoming less effective. White tried to stay calm. He had heard plenty of false alarms about incurable Cambodian patients, but it always turned out that they were taking counterfeit drugs. "I was just hoping it was another of those," he says. It was not. In 2006, Harald Noedl from the Medical University of Vienna started checking out the rumors for himself. 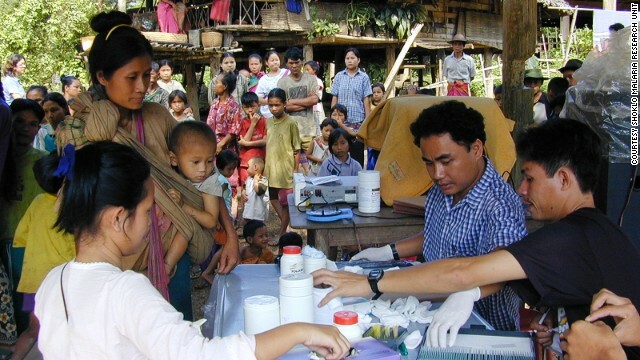 In the Cambodian village of Ta Sanh, he treated 60 malaria patients with artesunate (an artemisinin derivative) and found that two of them carried exceptionally stubborn parasites. These infections cleared in four to six days, rather than the usual two. And even though the patients stayed in a clinic outside any malaria hotspots, their parasites returned a few weeks later. "I first presented those data in November 2007 and as expected, people were very skeptical," says Noedl. After all, a pair of patients is an epidemiological blip. Still, this was worrying enough to prompt White's team to run their own study in another nearby village. They got even worse news. The 40 people they treated with artesunate took an average of 3.5 days to clear their parasites, and six of them suffered from rebounding infections within a month. "Rapid parasite clearance is the hallmark of artemisinins," says Arjen Dondorp, one of White's colleagues based in Bangkok. "That property suddenly disappeared." Despite the hopes that ACTs would forestall artemisinin's expiry, resistance had arrived, just as it had done for other antimalarials. And, as if to rub salt in the wound, it had come from the same damn place. The Shoklo Malaria Research Unit and Dominic Kwiatkowski receive funding from the Wellcome Trust, which publishes Mosaic. Copyright 2014 The Wellcome Trust. Some rights reserved.